New offices open their doors for Optimissa’s team in Madrid, coinciding with the tenth anniversary of the company. Given the remarkable growth we have experienced in recent years, with more than a 50% turnover increase in 2017, it is time to continue investing in the future. We start this new stage by providing our teams with an infrastructure in line with this vision of development and consolidation. This building, with its particular cube-shaped structure, is the fruit of all the effort and good work demonstrated throughout these ten years. 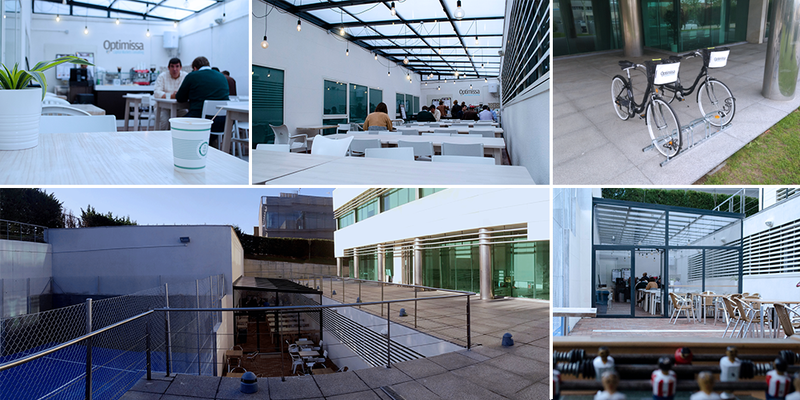 Its design and distribution make this new venue the ideal place for the different teams to have a place that favours their work and have enough space to grow, create and accomplish their goals. 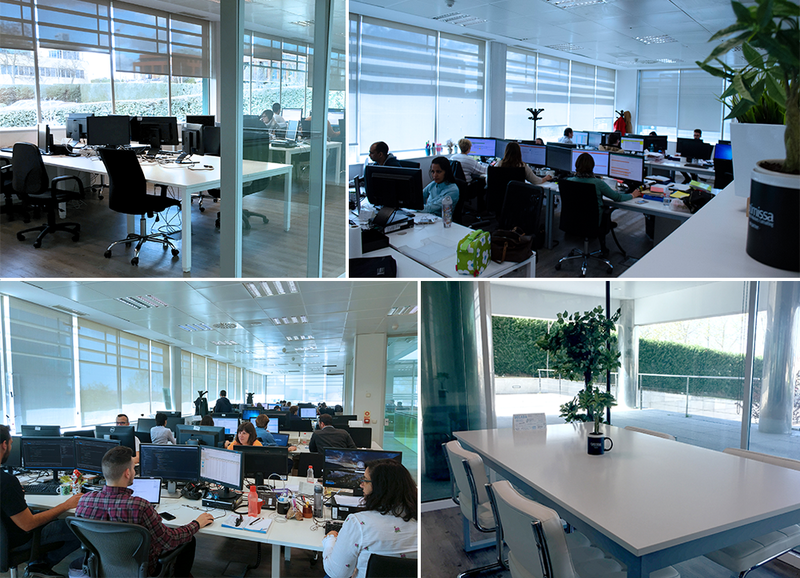 The new head office of Optimissa in Madrid is located in a strategic hub of offices in the Pinar de Las Rozas Business Park, together with other first-class companies located in the area. The property has an area of more than 2,500 m² and has excellent communications with immediate access to the A6, the M50 and the M505. In its surroundings there is a wide range of leisure and restaurant services. The new location is the base for the General Management of the company, the Central Services of the same and the core of the Intelligence Center, from where they develop consulting projects, implementation of solutions, software development and BPO services. We are operational from 6:00 a.m. to 10:00 p.m., serving the main players in the financial field and in different geographies. “We maintain our headquarters in the business park of Las Rozas de Madrid. We believe that in these facilities our work will be better. It’s a place where we intend to favour teamwork and collaboration. We have thought about improving the facilities and resources of our collaborators looking, as a consequence, to better serve our clients “. The launch of this center marks the beginning of new times for Optimissa. Its characteristics are a perfect symbol of our work philosophy, the alchemy between the functional and the technological worlds. The new facilities are equipped with state-of-the-art technological infrastructures, complying with the security standards required by our clients in order to remotely access their environments. Encryption, point-to-point connections with our international subsidiaries, redundancy, low latency, business continuity, are some of the basic ingredients that we have reinforced. On the other hand, the former offices in Severo Ochoa street will remain as a complementary space with multi-functional rooms and will also house a new backup CPD for contingencies.